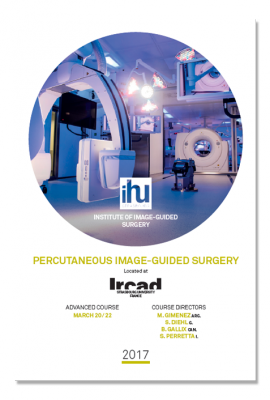 REGISTER FOR THE COURSE “PERCUTANEOUS IMAGE-GUIDED SURGERY” ORGANIZED BY THE INSTITUT OF IMAGE-GUIDED SURGERY! This multidisciplinary course provides complete, timely, accurate, practical coverage of interventional image guided percutaneous radiology techniques applied to abdominal diseases while presenting new developments in instrumentation and technology in the field. Designed for surgeons, radiologists and any physician specialist involved in image-guided interventions, committed to providing patients with the best, least invasive treatment appropriate for their condition, this dynamic program brings you updates on what is happening now… and what is on the horizon in the field of image-guided percutaneous interventions. 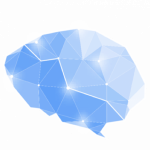 Join us to see and practice standard and innovative percutaneous operative procedures in our new unique hybrid platform combining the best minimally invasive technologies for surgery, endoscopy and interventional radiology using surgical robotics and advanced medical imaging, under the guidance of world renown leaders.